11-GA steel shaft and fixture support arm. 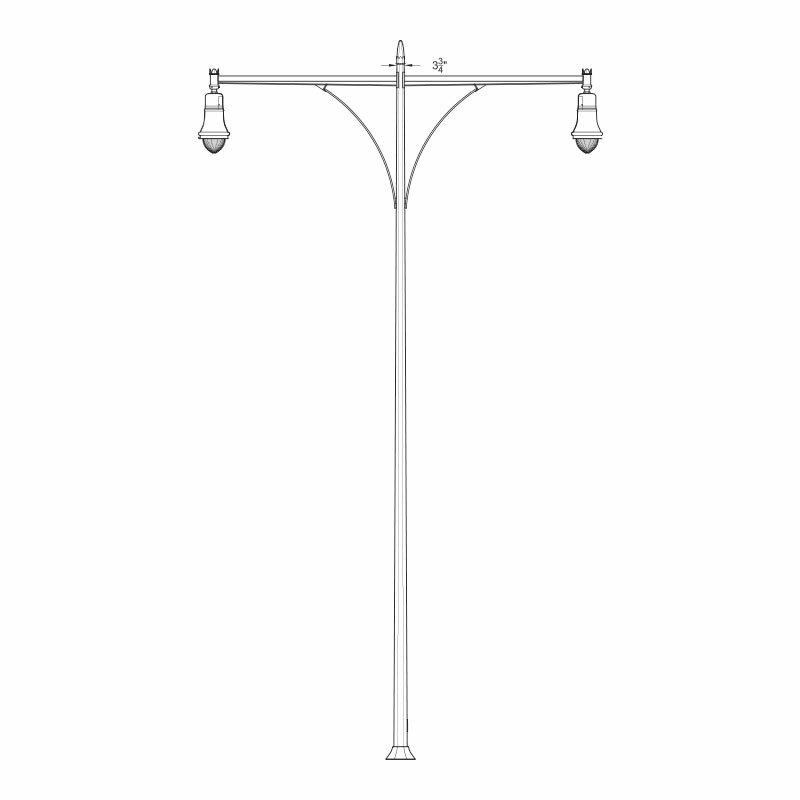 Cast fixture holder and pole cap. 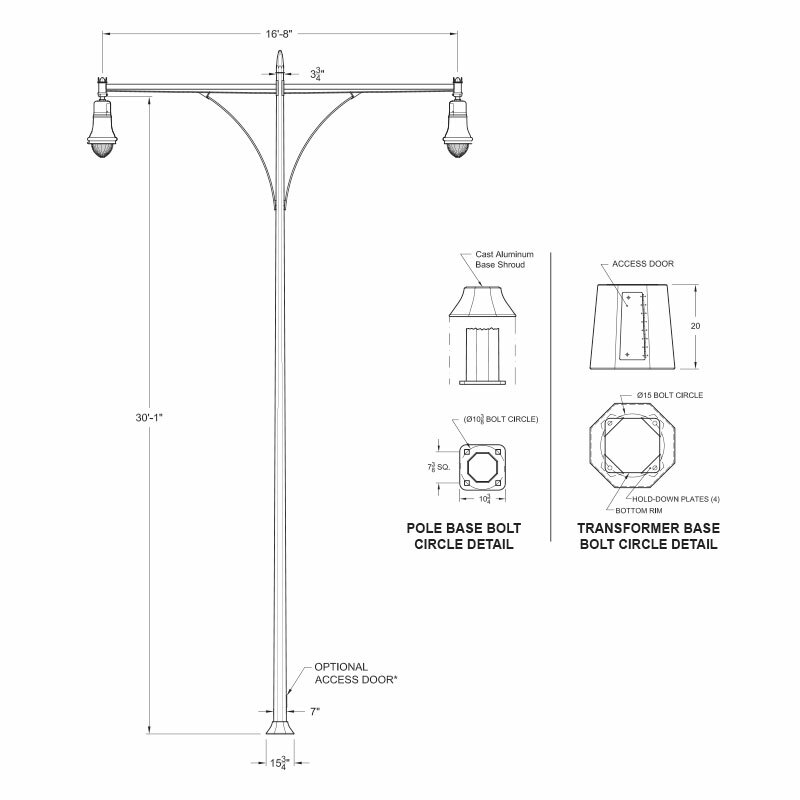 Pole is designed to be used with a steel transformer base (see below). (4) 1” x 36” galvanized steel w/ 4” hook. 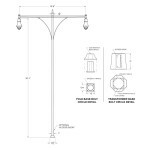 10-7/16″ Bolt Circle on pole,15″ Bolt Circle on transformer base. Pole will be supplied with access door when ordered without a transformer base.